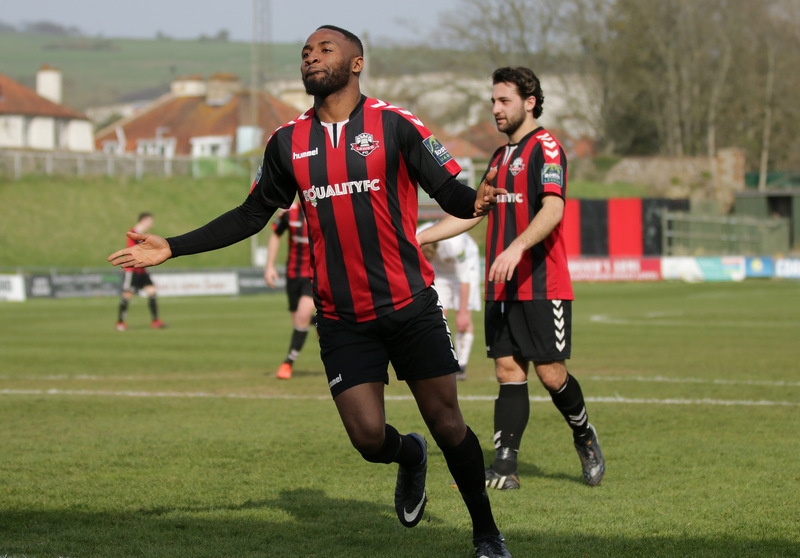 Second-half goals from Marcus Elliott and Omarr Lawson saw Lewes start pre-season with a 2-0 win against a hardworking Lancing side at Culver Road, reports Tom Harper. Darren Freeman handed starts to four of his five summer signings, before making nine changes at half-time, with several members of last season's double-winning youth team given a chance to impress. Chances were few and far between during a largely uneventful first half, as Lancing saw plenty of the ball but were unable to test Lewis Carey in the Lewes goal. The Rooks found it difficult to create any clear-cut opportunities themselves, but saw both Stacey Freeman and Jonte Smith denied by the host's goalkeeper as they began to take control of the game towards the end of the half. Lewes made no fewer than nine changes at half-time, and the pace and movement of the young substitutes immediately caused the home defence problems. The Rooks came close to taking the lead several times during the opening stages of the second half, with both Charlie Coppola and Nico Cotton just missing the target from close range before Dylan Gifford forced a fine save from the goalkeeper. Lewes finally scored the goal their second-half performance had arguably deserved midway through the half, as Marcus Elliott collected the ball down the right and cut inside before unleashing an unstoppable shot from the edge of the area that flew past the substitute goalkeeper and into the roof of the net. The Rooks were dominating the game at this stage, and saw Coppola and Omarr Lawson denied in quick succession, before the goalkeeper made an even better double save to keep out efforts from Gifford and Cotton. Lewes were able to double their lead with five minutes remaining, as a short corner taken quickly by Gifford saw Lawson run unchallenged into the area before beating the goalkeeper at his near post with a powerful close-range strike. The Rooks continue their pre-season preparations at Saltdean United on Saturday, kick-off at 3pm. Lewes first half: Carey, Brinkhurst, Redwood, Hammond, Chappell, Freeman, Cotton, Conlon, Smith, Blewden, Dukali. Lewes second half: Carey, Reed, Headland, Malins, Parker, Barclay, Lawson, Coppola, Cotton, Gifford, Elliott.